to the bow on her shoe. These lines from Hairy Maclary's Hat Tricks by Lynley Dodd came to my mind as I was sewing this outfit. 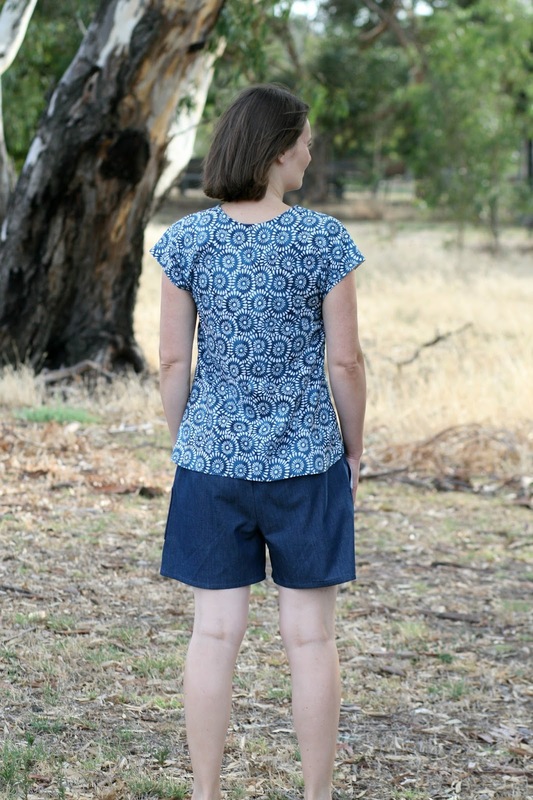 Please welcome the Bess top by Imagine Gnats and the Oceanside shorts by Blank Slate Patterns. 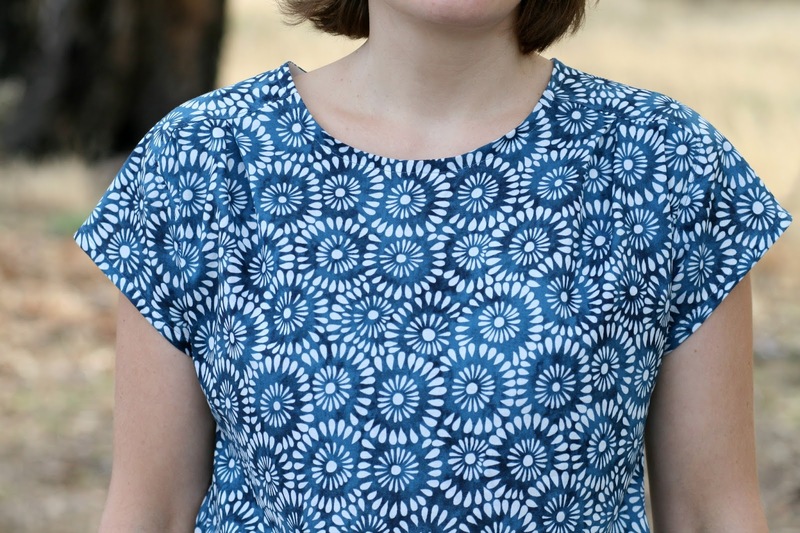 Let's talk about the Bess top (this pattern also comes in tunic and dress length). I have been admiring this pattern for a very long time. I love the shoulder detail and the hemline. The pattern consists of only two pieces - how clever! 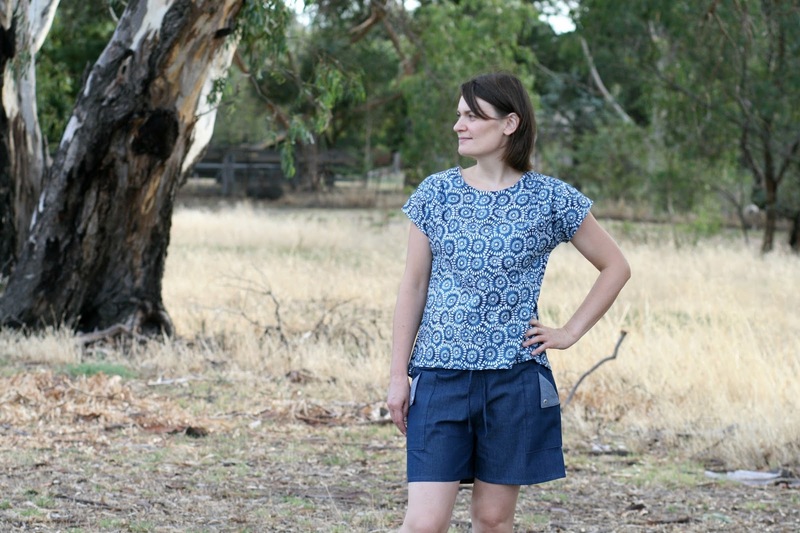 I could not wait to finally make the Bess top for myself, however I rushed and made a few silly mistakes that seriously affected the quality of my new top. While it is wearable I cannot say I am proud of it. If you would like to see a few seriously cute Bess tops check out what Marta, Laura and Hayley have made. What's wrong with mine you wonder? The most obvious mistake is that I stretched the neckline. I skipped stay stitching and payed for it. I can't actually remember if stay stitching is one of the steps in the tutorial (and I am too lazy to go have a look), but I know I will take a few extra minutes next time and do it. My other big mistake was made while sewing very late at night. I managed to stretch fabric as I was sewing side seams which resulted in puckering right under the arm. I did not notice that until the top was finished. Oops! See how it looks a little funny on the right hand side? I was so upset with myself for not checking the seams first, but it was too late. Luckily the puckering is not as noticeable after the top has been through a wash. Despite my silly mistakes it is a great top to sew and wear. 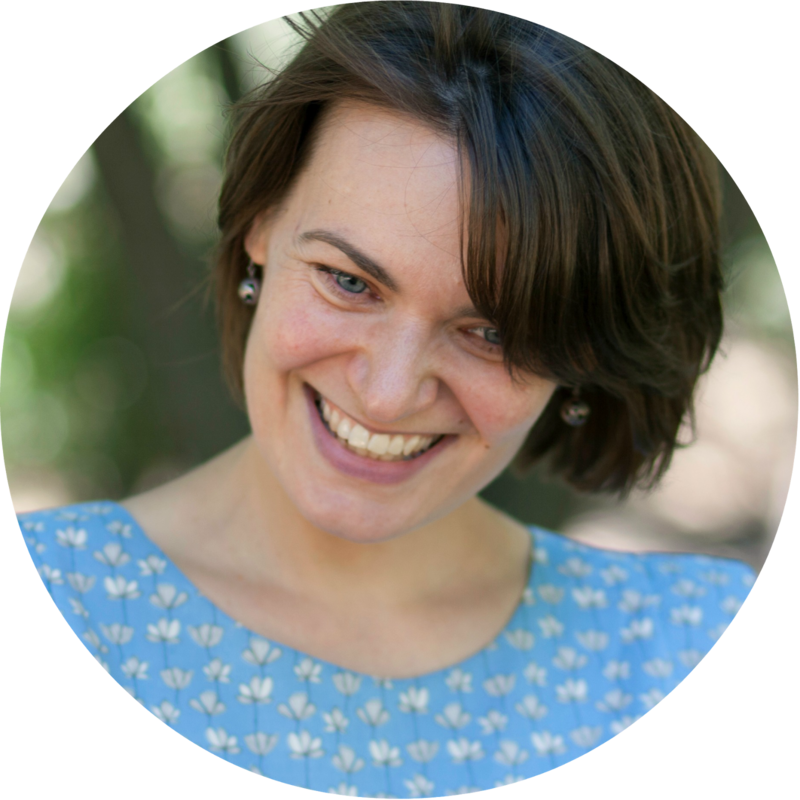 I used Japanese cotton lawn to make mine, and it feels oh so comfy! The top is relatively easy to make, although I would suggest to have a practice go at sewing shoulder details on scraps of fabric first. I have read a few people suggesting to size down (which I did), so it might not hurt to make a muslin to check the fit for yourself. I will definitely be using this pattern again. I would love another Bess top and after seeing Laura's tunic I want one also. OK now to the shorts. For as long as I remember I always wore shorts during summer. I was a tomboy growing up. Climbing trees and garages and hanging up side down on playground equipment was much more comfortable wearing shorts. I still remember a pair of green corduroy shorts my grandma made for me when I was about five! Now I am a mum I find shorts are perfect for playgrounds. There was this one time when I went down the slide in a skirt and let me tell you the landing was not overly ladylike! From then on shorts and pants became my playground uniform. I find ready to wear shorts don't fit me well. They are either too short and tight or too baggy and not flattering at all. Or too expensive. Solution? Make a pair of shorts myself. Because I have never made a pair of shorts or pants for myself before I wanted to start with something simple. 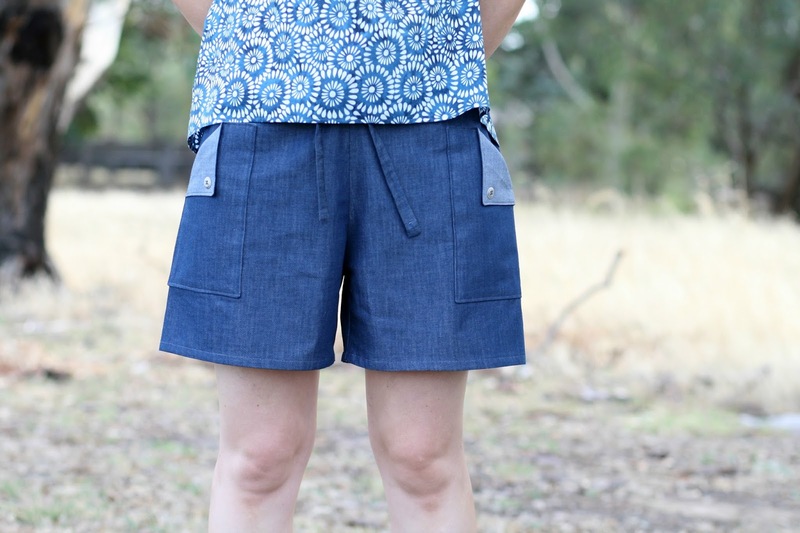 The Oceanside short and pants pattern has three pieces. No tricky closures, just a drawstring. What could go wrong? The shorts have relaxed fit. My measurements put me in size M. I was wondering if it would have been too relaxed, so I made a muslin. I checked the width of the shorts and indeed I needed to size down. What I never checked was the depth (height? rise?) of the shorts. When it came to making the drawstring casing I realised my shorts were too low for me. 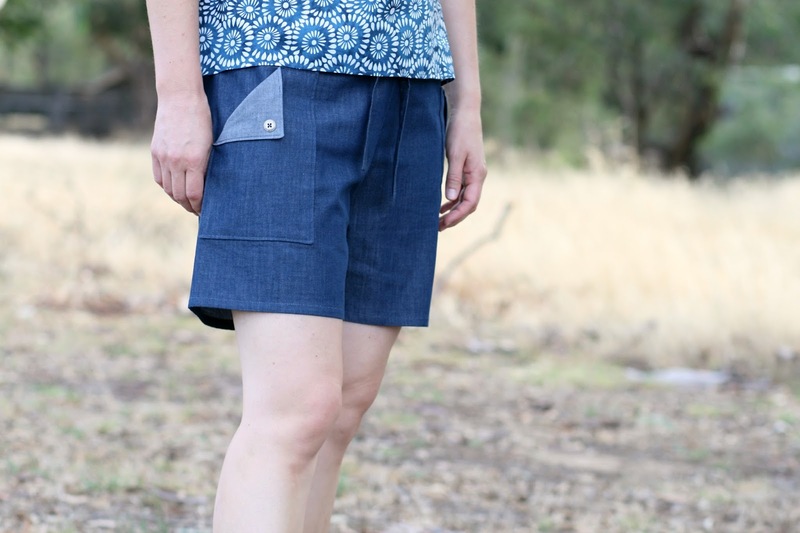 Luckily I had wide bias tape that matched the colour of denim chambray I used to make the shorts almost perfectly. I made drawstring casing from it and the problem was solved. However I have learned my lesson - when making a muslin check for fit properly! Autumn is coming to my side of the globe, so I am considering making a pair of pants using this pattern. Do you know that next week is Selfish Sewing Week? I have been enjoying sewing for myself last summer and already have a couple of things in mind I want to add to my Autumn wardrobe. Next week I am planning to make at least one of them. Are you planning to join in? Hmm, I cannot see any mistake whatsoever on your top. Why are we always so harsh on ourselves? Love it! Ready to wear schorts never seem to fit me well either, so I'll have to check these ones out! Thank you Mieke. I think being critical of our work is a good thing. It certainly helps me recognise what I want to pay attention to next time I make something or what I want to improve. It also highlights successes :) And I am glad to hear I am not the only one getting frustrated trying on RTW shorts! These look wonderful, I certainly understand being very critical about our sewing, especially self-sewing it seems. I hope your learnings don't take away from your enjoyment wearing what looks like a gorgeous outfit though! I'm thinking selfish sewing week might just have to be when I make some time for my own sewing again!!! Lovely Jenya. 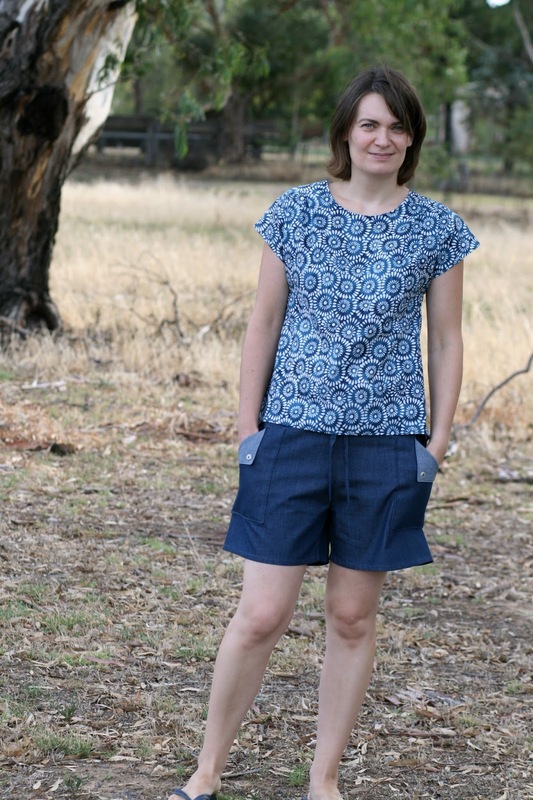 I have never made myself a pair of shorts but I should! Thank you Suz. This particular pattern is pretty straight forward. I am keen to give the pants version a go! Love this outfit. Especially the fabric you used for the top! It's beautiful! Thank you very much Shino. That fabric is so nice to wear! I think I am becoming addicted to Japanese Lawn! You clever girl you! Love the top and the shorts. Lucky you learn from all your mistakes for future. I like to think they aren't mistakes but merely tools to learn!